As the holidays are fast approaching, here are a few kid-friendly stocking stuffer or Advent calendar fillers! Here are a few tasty gift ideas from Welch’s Fruit Rolls and Go Organically Fruit Snacks to be gifted during this festive season. They are perfect to fill the stockings, the kids Advent calendar or for holiday parties at schools! 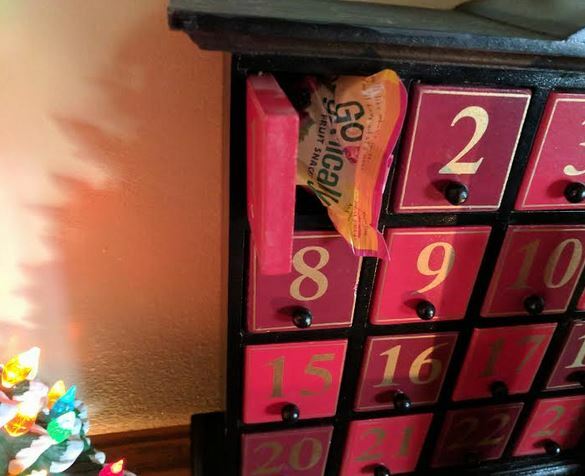 The NEW Welch's Fruit Rolls are the perfect way to unroll the fun! Featuring fruit as its first ingredient, the Fruit Rolls are a great stocking stuffer and available in mouthwatering flavors: Berry, Tropical Punch, and White Grape Strawberry. (6ct box with 0.75oz roll / $2.99). Welch's® Fruit Rolls deliver the same quality consumers love in Welch's® Fruit Snacks, in a new, irresistibly fun format! 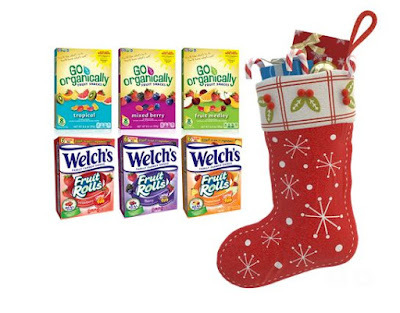 Go Organically Fruit Snacks are a tasty, USDA-certified organic fruit snack great for gifting. These fruit snacks are gluten- and GMO-free, and contain 100% DV Vitamin C with no preservatives. So if you are looking for a yummy and good for you snack, then look to Go Organically Fruit Snacks. 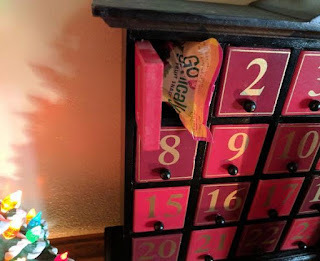 They are perfect after school snack, party treat for school and they fit perfectly in Advent boxes!